The Growth Hub is there to help your business realise its potential and grow. It is the focal point for ambitious businesses who are seeking the relevant information, guidance, support, expertise, finance, knowledge and experience they need to grow. They can help you scale up, boost performance and find new ways of working. They are there to help all businesses in Gloucestershire, regardless of sector or size. They offer an even more in depth service for businesses with high growth potential who are considering, for example innovating new products and services, recruiting new staff, up-skilling or exporting. They can help you develop and refine your strategy, become more competitive, grow your people and skills, access finance, innovate, improve efficiency and identify new markets. 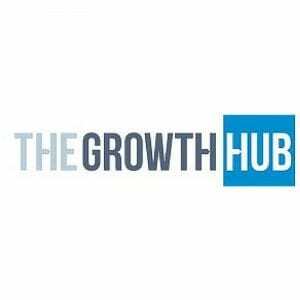 The Growth Hub offer tailored advice, training, networking and much more. If you’re a business in Gloucestershire and you have ambitions for growth, why not talk to them today. Prestbury Marketing provided marketing support to the Growth Hub in the build up to it opening and have worked on a number of projects since. Prestbury Marketing are also Approved Partners to the Growth Hub.